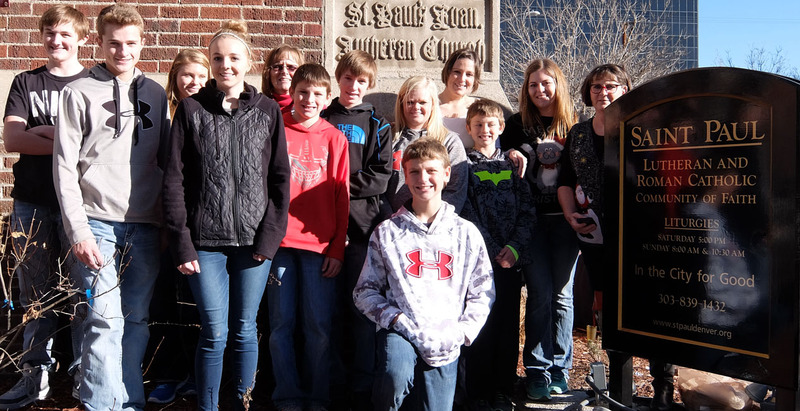 The Zion Lutheran Youth Group traveled to downtown Denver to serve a meal to those in need at Saint Paul Lutheran and Roman Catholic Church. They also delivered warm socks, mittens and hats that had been donated by the very generous Limon and surrounding communities,and had been dropped off at Hoffman Drug. The other stop they made was to the Metro Caring Food Pantry where they toured the facility. What an enlightening experience for all of the youth in attendance and the adults as well! Thank you to Pastor Wascher for planning such an event!